The ability of the body to assimilate these substances at the cellular level of metabolism. You can put these four aspects of nutrition to work for you with a customized supplement protocol from Healing Ways Holistic Health.The quality of supplements varies widely. It is quite common to find dietary supplements laced with sugar, preservatives, coloring, and other additives we believe to be causative factors in some of the degenerative health conditions we encounter our practice. Multivitamin and mineral supplements commonly contain substances that interfere with one another when it comes to the body actually making use of them. Some products are synthesized and mass produced by industrial processes that leave traces of toxic substances in the product, while others are derived from natural food sources, but sometimes without much regard for the quality of those sources. We trust select providers of the highest quality nutritionals for the supplements we rely on to support health and promote healing. The manufacturers of the nutritional and homeopathic remedies we recommend have invested heavily in developing product lines that include complex formulations designed to address a wide range of health issues. 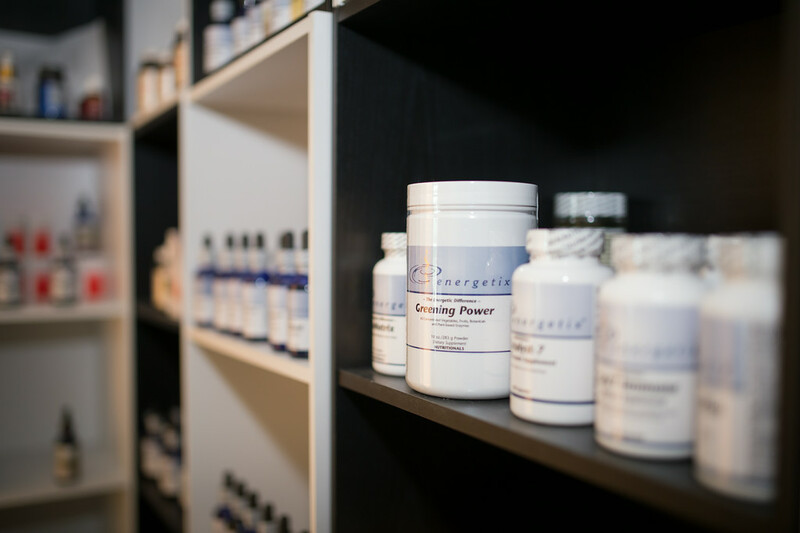 Many of these supplements are exclusively available through practitioners because they are designed to be used as components in therapeutic protocols, often for a limited time. The development of these dietary supplements has been based on extensive research into the effectiveness and interaction of various nutrients and/or homeopathic agents in addressing specific energetic and nutritional imbalances. Synergy refers to the mutual enhancement of therapeutic agents. When they are more beneficial together than individually, this effect is synergy, the energetic opposite of interference. Using these preparations as the basis for your nutritional protocol enables you to maximize results in less time, an advantage that can save you time, money, and suffering. Assimilability is a key factor in the effectiveness of a customized supplement protocol. The highest quality nutrition won’t do you any good if you can’t metabolize it. Two primary considerations in our assessment of your health are the vitality of the digestive tract and the energetic conditions within the systems that the nutrition is intended to correct. Take calcium for example. As an inorganic mineral, calcium may easily pass through the digestive tract unnoticed by a body whose internal processes are suffering from calcium deficiency. This is the case when, to maintain the pH balance in the bloodstream that is critical to life, the body mines the skeleton for calcium, leading to bone loss, even though plenty of this mineral is present in ones diet. Calcium absorption may be supported with bioenergetic therapy, and several of our post-menopausal clients attribute their gains in bone density to regular sessions of ONDAMED® therapy in concert with a healthy diet and weight bearing exercise. Adequate calcium assimilation can only take place when magnesium, vitamin D and boron are also present, so it is essential to take a balanced formula for calcium supplementation to be effective. 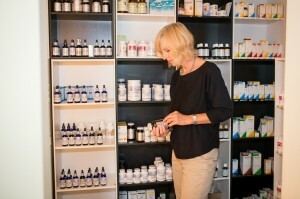 Successful uptake of supplements is dependent on conditions within the digestive tract. Many people suffer the effects of consuming processed foods that lack enzymes and nutrients needed for optimal uptake. Not only does the standard American diet impoverish the body of essential enzymes and trace minerals, it can also cause damage within the intestinal tract that prevents proper digestion and nutrient uptake. This puts a double whammy on your system: inadequate supplies of nutrients compounded with reduced ability of the intestines to take up those that are available. No wonder so many of us are over-fed and undernourished. We always make sure that the nutrients we recommend are combined with all the other nutritional factors (vitamins, minerals, enzymes, probiotics) needed for a healthy digestive tract so that nutrient uptake can be successful. Once healthy conditions within the digestive tract optimize nutrient intake and uptake, the next phase of effective nutritional intervention is to make sure that her clients is able to assimilate required nutrients. The cellular level of metabolism is where the rubber meets the road. Having facilitated healing in the delivery system (intake and uptake of nutrients), your next task is to facilitate cellular absorption and use of these nutrients. Conditions at the cellular level vary from person to person. Factors that limit your ability to benefit from the nutrients present in your bloodstream might include parasitism, a condition where microorganisms intercept vital nutrients. Or a burden of toxins or fatty plaques, which the body has been unable to eliminate due to lymphatic stagnation and congestion or biochemical imbalances, might interfere with the exchange of nutrients and wastes either at the intracellular level or within the extra-cellular matrix, where processes that support cellular metabolism take place. Mental, emotional or physical stress can also cause problems affecting the chain of metabolic events that leads to optimal nutrition, as can impaired processes of elimination. We can help you find the right combination of therapeutic approaches aimed at eliminating these interference factors to optimize nutrition and support you in attaining vibrant health. These four phases of nutrition are the interdependent factors that affect the success of supplementation. Without all four functioning optimally, benefits will be limited. Sometimes it’s easy to see and correct what has gone wrong when testing suggests that a client suffers from deficiencies. Sometimes it takes more investigation to understand why someone who consumes a healthy diet still suffers from digestive or assimilative disorders. However these scenarios play out, a key factor in your success in achieving lasting benefits is the appropriateness and reliable purity, potency, and synergy of the supplement you take.